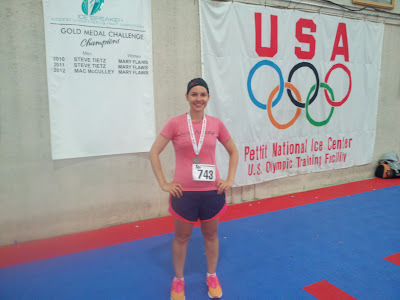 I won an entry to this race from Jaime, aka, Running Diva Mom. 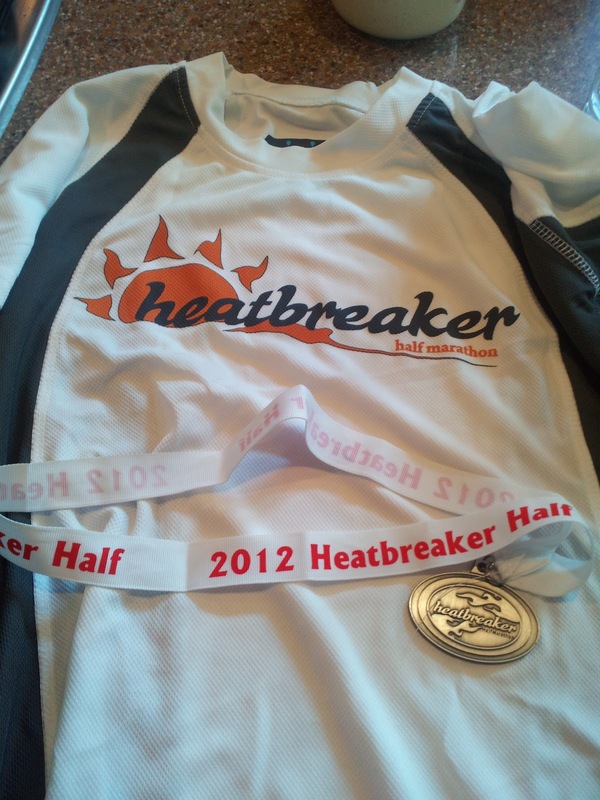 This is only my second half marathon and my time at last fall's Big Hit Half Marathon was 1:57. Today, my time was 1:56, so nothing earth shattering. I got up around 6 to eat and make the two-hour drive to Milwaukee. I arrived with time to spare for the 10 a.m. heat. 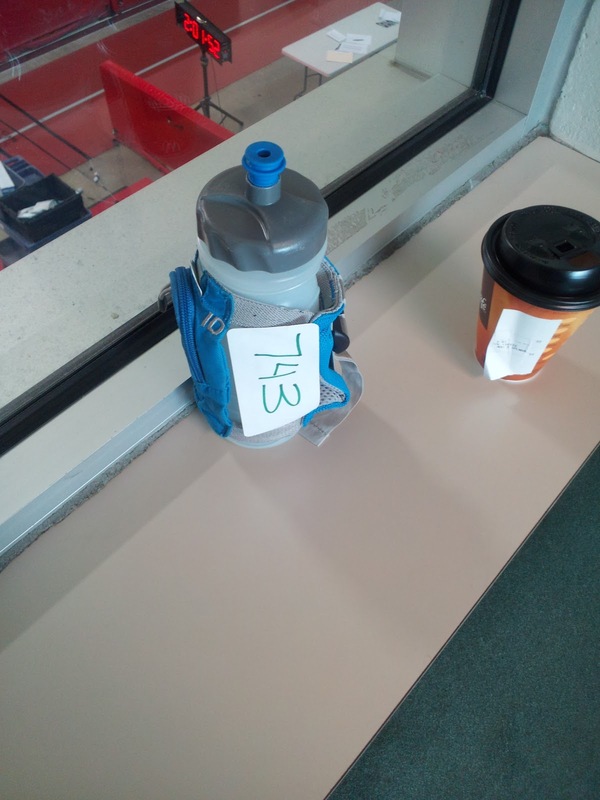 Check in was easy - I got a tech tee, my bib, my ankle timing chip and a label for my water bottle. Because you run indoors near an ice skating rink, open containers aren't allowed. Volunteers handed out your pre-designated water bottles as you ran past, which was quite nice. They also handed out whatever gels you wanted, too. I got the channel my inner Kara Goucher (except really slow and pudgier). I carbed up before hand with snacks in the food room and stretched. It was warmer than I thought on the "course" and I'm glad I dressed 20 degrees warmer than the actual temperature. A T-shirt and shorts were perfect and I could have wore even less. I didn't need my gloves or ear warmers. 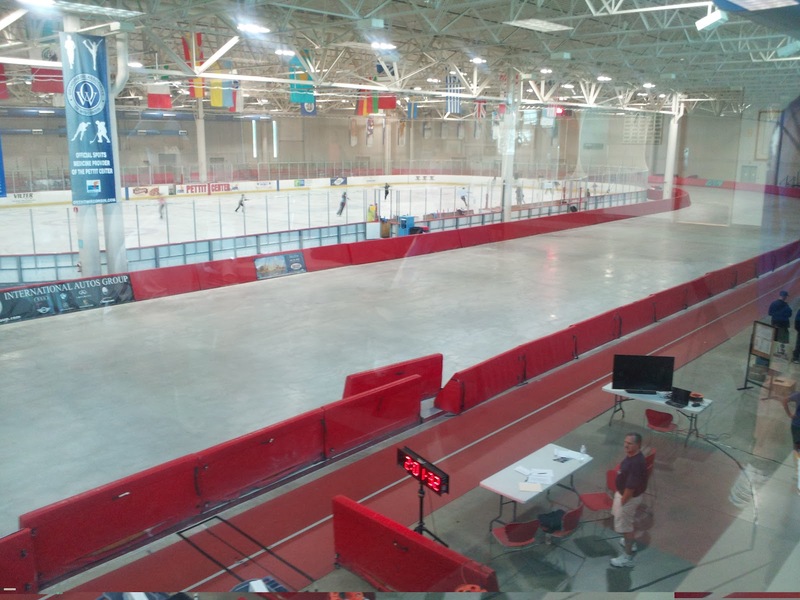 I hear it's colder in January when they host the Icebreaker Indoor Race because a speed skating lane is open right next to the track. Once I got started, I just tried to zone out and cruise. They didn't have a pace counter that was visible, but as you passed a checkpoint, if you called out your bib number, a volunteer would announce the laps you had left over the PA system. I didn't know how to pace myself, so I split the race into four parts and wrote on my arm the times I would need to reach a 1:55 half. I was so optimistic ... or foolish, depending on how you look at it. You needed to complete 48 laps for the half, so I split the course into 12-lap segments because math isn't my strong suit. I felt OK up until about the last quarter of the race. Then, it started to feel really hard and I was hot. When I finished, I handed my timing chip over to the organizer at the end, who asked me if I planned to run the next heat. HA! I wanted to tell him that it was quite a compliment that I looked like I was capable of running another 13.1, but I couldn't get out the words. Then he asked if I was OK, so I suppose he realized that this was all I could muster. Official times aren't up yet, but I finished somewhere around 1:56. I suppose it's a PR, but I feel like I should have done better because it was flat and cool without sun or wind. Someone said this isn't the place to PR because you use the same muscles throughout, but I feel a little defeated nonetheless. Afterwards, there was a single shower room available, which was still a nice touch so I didn't have to drive back sweaty. There was a room with nilla wafers, pretzels, goldfish crackers, chocolate milk, powerade, water, bagels, bananas and the best sugar cookies ever. I might have been really hungry, but they were fantastic regardless, I'm sure. Cons: Boring, no headphones allowed, no expo (if that's your thing, I don't really care). There wasn't a great place to stretch after, either, but again, not a big deal for me. I can't believe you ran a half marathon indoors! Crazy cool :) How did your legs feel after turning in the same direction over and over? I remember when I used to run indoors on a track my ankles would hurt due to the constant turns in the same direction. Anyway congrats!!!!! Personally, I think 1:56 is an awesome time. Especially since it doesn't sound like this race has quite the adrenaline rush of a regular race atmosphere! Did they have you change directions at all? 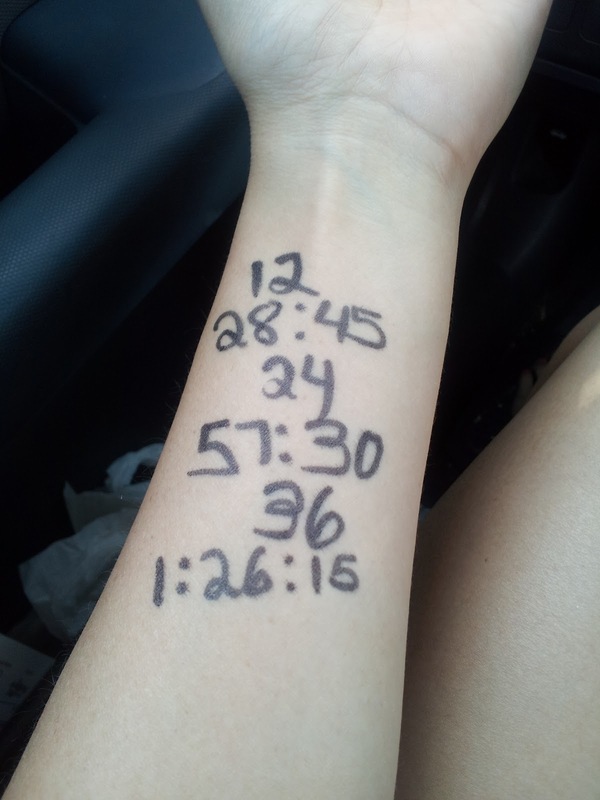 Because 48 laps in one direction sounds like a recipe for some really weird soreness. No, we didn't change directions. Now that I think about it, I wonder if that's why my left hip flexor was killing me? Because we kept turning left for two hours. Congrats on the new PR! I applaud you for doing this. I think I would lose my mind if I did not have a buddy to talk to. I would probably put my phone in my bra and play music off of it until they told me to turn it off. Three people in my cloud did do the doubles. You probably saw them (they did 10:00 and 1:00). Crazy crazy.